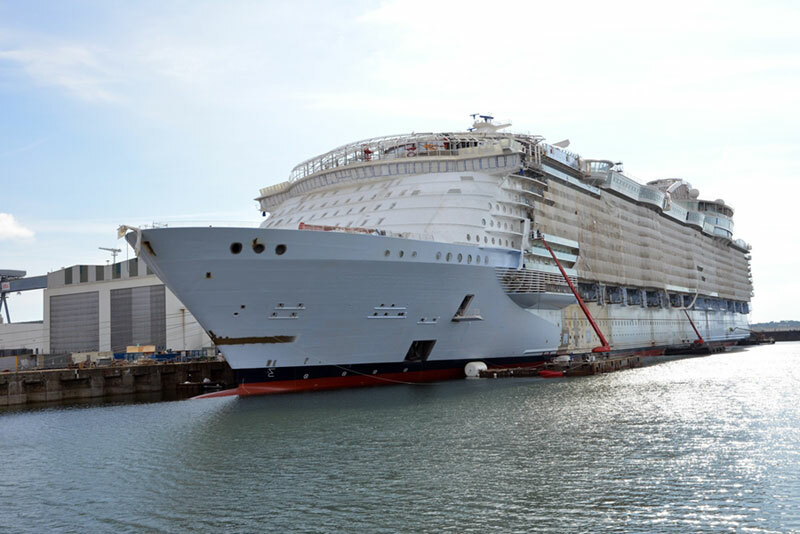 Royal Caribbean has released new photos of Symphony of the Seas during its fitting out construction phase. Symphony of the Seas will become the worlds largest cruise ship once completed in Spring 2018 so when new photos are released it’s pretty important. We’ve got the latest photos while the Oasis-class vessel is undergoing the fitting out phase at the STX shipyard in France. Royal Caribbean already released interior photos earlier in September so this time we are teased with two stunning external views of the mega ship. The ship is currently at a wet dock and no longer held in a dry dock as the physical external construction of the ship has already been completed. Workers are now busy putting together all the interior spaces and next year we’ll see the ship undergo sea trials. 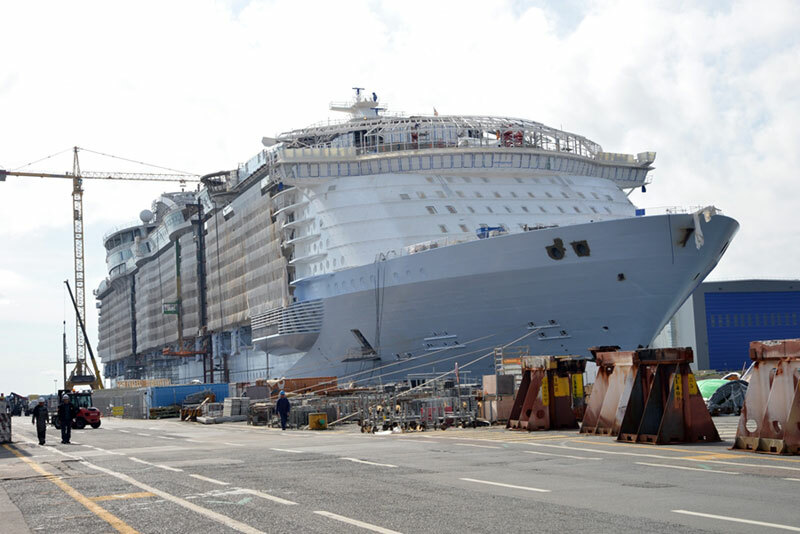 Usually, a month before the ship is delivered to Royal Caribbean the crew members will arrive onboard and begin getting her ready for service. Symphony of the Seas will set off on her maiden voyage on April 21 in the Mediterranean. In November 2018 the worlds largest cruise ship will be based at the new Royal Caribbean terminal in PortMiami offering Caribbean sailings. Symphony of the Seas will be 230,000 gross tons and be able to carry 6,780 passengers at maximum capacity.